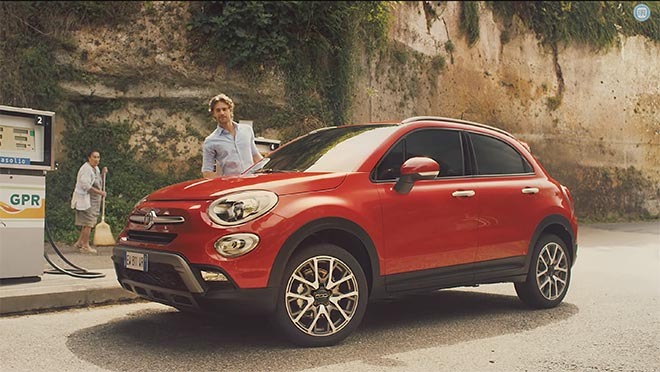 Fiat’s Super Bowl advertising campaign in 2015, “Blue Pill”, introduced the 2016 Fiat 500X Crossover. Set in Pitigliano, Tuscany, Italy, the commercial begins with a man (Constantino Boni) frantically searching through the bathroom medicine chest for some help with a romantic encounter with the woman of his dreams (Adele Pandolfi). His attempt to take the last blue pill does not go so well. The camera follows the blue pill skipping across rooftops, down a drain pipe, bouncing off villa walls, pinging across cafe tables and eventually dropping into the open fuel tank of a red two-door Fiat 500. Excitement all round as the car morphs into the 2016 Fiat 500X Crossover. 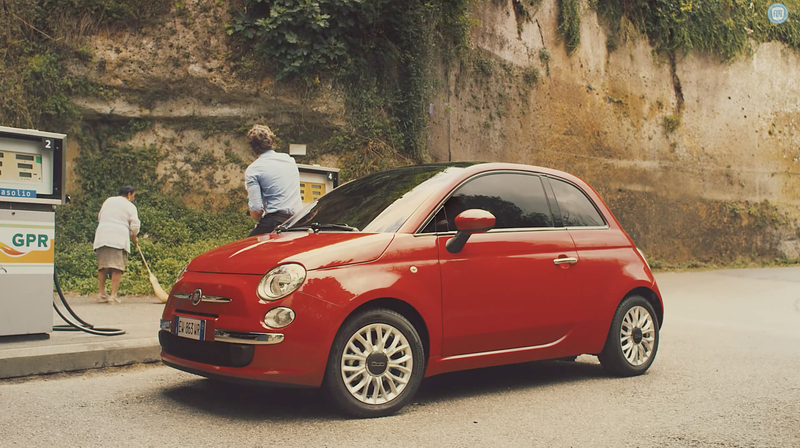 The commercial was first released at the October 2014 Paris Motor Show during the FIAT brand’s global reveal of the all-new 2016 FIAT 500X. The Fiat Blue Pill campaign was developed at The Richards Group by creative director/art director Lynda Hodge, creative director/copywriter David Canright, agency producer Jenny Wolk, working with Fiat USA head of brand communications Casey Hurbis, Fiat and Abarth EMEA head of brand communication. Filming was shot by director Antony Hoffman via Filmmaster Productions with executive producer Karim Bartoletti and producer Stefania Cervellin. Editor was Jack Waldrip at Charlie Uniform Tango. Visual effects were produced at MPC LA by VFX producer Juliet Tierney, 2D lead Ryan Knowles, 3D lead Ross Denner, color creative director Mark Gethin. Music was produced at Stimmung.